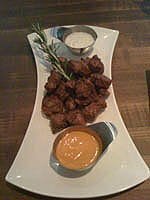 Steak Bites - Soooo Good! 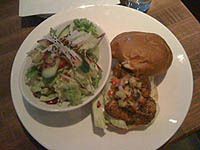 Ahi Tuna Sandwich - Yum! Close to Skytrain in Richmond is a place called Chop Steakhouse & Bar they blend a trendy, casual environment with the service and quality of fine dining. They had some great cuts of meat and everything was fresh, so we think Chop's is were you will getting some of the best steak and seafood in Richmond BC. Join in and write your own page! It's easy to do. How? Simply click here to return to Richmond Restaurants.